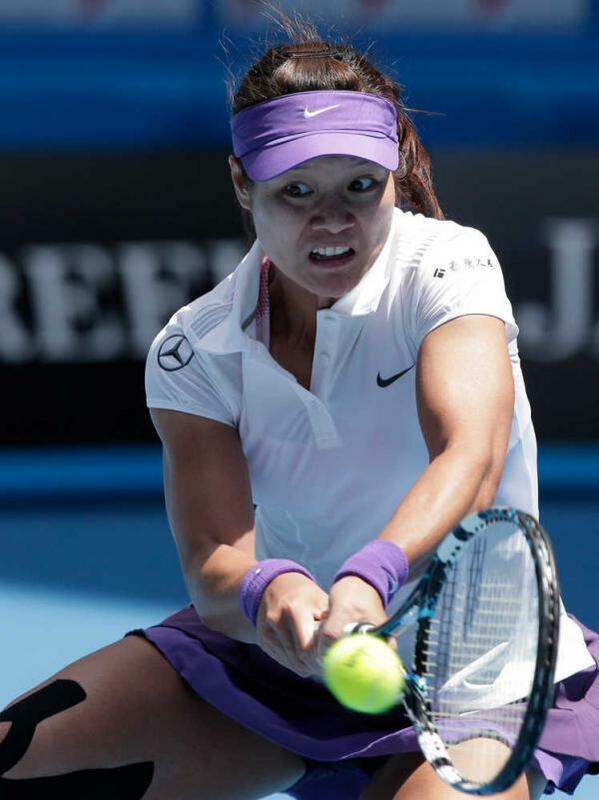 Li Na has won the Australian Open after defeating Dominika Cibulkova on Saturday in straight sets 7-6 (3), 6-3. Na, the No. 4 seed defeated Cibulkova the No. 20 seed for her first Australian Open title. Na, the French Open titleholder in 2011, could not capitalize on her breaks early in the first set, but came out strong in the tiebreaker to win that 7-3 and take the first set. Following her win Na had all she could do to hold back tears when she left the playing court. She raced immediately into the stands to shake the hand of Carlos Rodriquez her coach. Following the match, Na made the crowd roar with laughter in her speech thanking her agent and once again teasing her husband. She said Max her agent had made her rich. She thanked Shan Jiang her husband for giving up everything he had to travel with her and be her hitting partner, fix the racket and fix her drinks. She thanked him and said he was a nice person. Then after letting the laughter subside, she added he was lucky to find someone like her. The first set of the match took 70 minutes to complete and included nervous moments for Na, who was having a hard time with her first serve. This was the third final for Na at the Australian Open, while it was the first Grand Slam final for Cibulkova. Na was called a great champion and player by her opponent Cibulkova. Following her victory at Roland Garros in 2011, Li buckled under pressure of being a Grand Slam Champion. She did not win more than two straight matches the remainder of that season. Rodriguez, who started coaching Na following Wimbledon in 2012, said he was not sure if Na could handle the pressure. Rodriguez is no stranger to grand slam titles; he coached the great Justine Henin to seven major titles. Li’s run to win the title included just on opponent ranked in the top 25 her finals opponent Cibulkova who is No. 24. Na, who is the first singles winner in Grand Slam history from Asia, will be ranked No. 3 as of Monday, just 11 points short of No. 2 Victoria Azarenka.